"On the northern border, in Syria, there has been unrest for four years now,” said Defense Minister Moshe Ya'alon Tuesday. “Despite this, we have been able to keep this threat away from the residents of the Golan Heights and the North. Russian President Vladimir Putin sought to calm Israeli concerns over the deployment of Russian soldiers in Syria, telling visiting Israeli Prime Minister Binyamin Netanyahu his forces would act "responsibly," and noting the Syrian regime was in not fit state to attack Israel. Netanyahu was accompanied on his trip to Moscow last week by his army and intelligence chiefs, in a rare step for an overseas visit. Netanyahu said he was determined to stop arms deliveries to the Hezbollah terrorist group that has been aiding Assad forces, and accused Syria's army and Iran of trying to create a "second front" against Israel. Ya'alon toured Gaza Belt communities on Tuesday and visited a sukkah in the religious kibbutz community of Sa'ad, where he spoke about the security situation in the south and in other areas. Ya'alon said that Israel succeeded in deterring Hamas in the course of Operation Protective Edge last year. "A year has passed since Operation Protective Edge, and there is no doubt that here, beyond the fence, in the Gaza Strip, Hamas, the body that controls Gaza, has been deterred, and faces internal challenges, including ISIS terrorists and others who sometimes fire [at Israel] from the Gaza Strip to challenge [Hamas]." 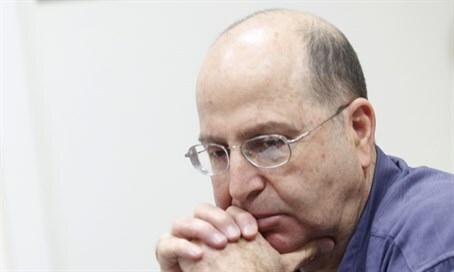 Ya'alon said that Israel is dealing with Gaza with a "carrot and stick" approach. “Hamas faces different challenges,” he explained, “and we are trying in this matter used not only sticks but carrots, too, to allow in materials for reconstruction or other goods to propel the economy, because we do not have any interest in having the people of Gaza live in abject conditions. As long as they do not threaten us or harm our communities, we allow it, of course, and even encourage it. So I hope that the current security situation will continue in the coming years." Ya'alon also referred to the situation in Jerusalem and to the agitators inciting violence in the capital. "In Jerusalem, unfortunately, there are agitators, including Israeli Arabs – mostly the Islamic movement and some of their politicians around the Temple Mount – who are trying to make political capital. There are also other elements that, unfortunately, have not remained idle, like the Palestinian Authority with its incitement that portrays the Temple Mount as a sensitive spot." "On the Temple Mount,” he claimed, “we have been maintaining the status quo for years. Unfortunately, this is exploited by extremists like those barricaded inside the mosque, which should be used for prayer. They do it with rocks, not just stones, fire bombs, pipe bombs and fireworks, and try to attack groups of Jews and non-Jews that come to visit Mount according to the status quo. That challenge, of course, is mostly one that the Jerusalem Police has to face,” he said. He voiced hope that the government's latest decisions to relax the rules of engagement vis-a-vis terrorists who throw rocks and Molotov cocktails in a way that endangers life, will enable the police “to cope better with the situation there." “We are taking action in this matter,” he stated. “I recently signed a decree outlawing the Murabitun and Murabitat – who in fact, are funded by the same Islamic elements. This will allow us – in fact, it already allows us – to restrict their activities, keep them away from the Temple Mount and hopefully 'take care' of their sources of funding, so that these groups will cease operating on the Temple Mount."